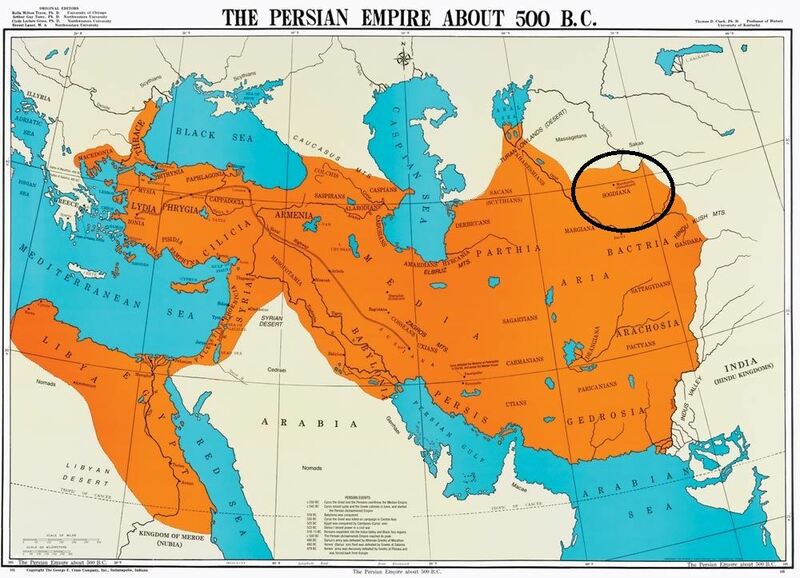 Sogdiana was an ancient region centered around the city of Samarkand. It lay north of Baktria, east of Choresmia, and southeast of Kangju between the Oxus (Amu Darya) and the Jaxartes (Syr Darya), embracing the fertile valley of the Zeravshan (ancient Polytimetus). During the High Middle Ages, Sogdian cities included sites stretching towards Issyk Kul such as that at the archeological site of Suyab. Sogdian, an Eastern Iranian language, is no longer a spoken language, but its direct descendant, Yaghnobi, is still spoken by the Yaghnobis of Tajikistan. It was widely spoken in Central Asia as a lingua franca. Sogdians also lived in Imperial China and rose to special prominence in the military and government of the Chinese Tang dynasty (618–907 AD).